Crater Lake is a beauty born from violent eruption of spitting fires and rocks. This happened when Mount Mazama erupted and collapsed .The volcanic basin called a Calders filled with water and became the lake that we know today.Usually it is called as DEEPWATER in a sleeping volcano. 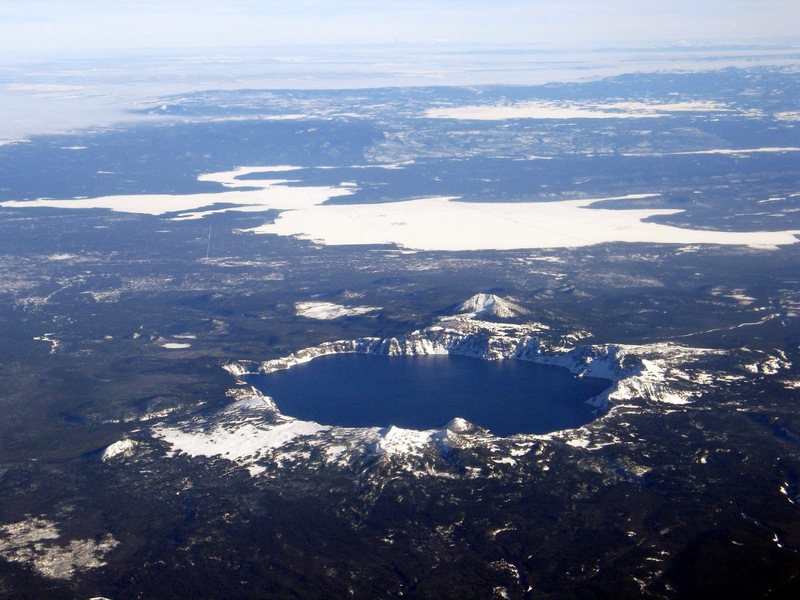 The phrase GREW, BLEW, FELL AND FILL gives a description how the Crater Lake was formed. The volcano once stood 12000 feet but it collapsed after a major eruption and formed Wizard Island, a CINDERCONE that rises from the water. This lake is the deepest and the most beautiful lake in UNITED STATES OF AMERICA .It is one of the 7WONDERS of Oregon. From the top of the mountain the rim of the Crater Lake looks wonderful .Mount Shasta, Mount Lassen, the trinity Alps and the Marble Mountain is located to the south of the Oregon California Border. The lake has no inlet or outlet streams. It is fed solely by springs snow melt and rainfall. The lake and its surrounding region became CRATER LAKE NATIONAL PARK in 1902 and slowly the park had more than 90 miles of hiking trails. The Crater Lake National Park is also called as COUNTRY’SCROWNJEWELS. There is no other place on earth which combines a deep pure lake, surroundings cliffs, a picturesque island and a violent volcanic past. The park has plenty of fascinating volcanic features along with a second rocky island the PHANTOMSHIP. One can see wide variety of wildlife along with black bears, mountain lions elk and spotted owls. The park is open all year round and 24hours a day. Some roads trails are closed due to snow .If going to visit the Crater Lake one should find out whether it is visible because quiet often because of the clouds it is invisible. There are two VISITORS CENTERS. THE STEEL VISITOR CENTER where a 22 minute film is shown for hour and half hour .it explores the park’s significance and the lakes volcanic past. And the second center is The RIM VISITOR CENTER at Rim Village. There are SUMMERSPORTS and activities like Biking,Fishing, Swimming/Scuba Diving, and WINTER SPORTS and activities like cross country skiing, The ultimate ski tour, The West Rim Trail, The East Rim Trail, Snowmobiling and Snowshoeing. One can explore the park by hiking up mountain peaks, enjoying cruising through the volcano area on daily boat tour. To enjoy swimming at Crater Lake, hike down to CLEETWOODCOVE trail, the only trail that leads to the shoreline. To enjoy your stay you can choose alternative like a lodge or a camping ground.Don’t miss the sunrise over the lake with a mug of coffee in your hand and spend a quiet evening by relaxing by the fireplace. There are two camp ground that is Mazama campground, lost creek campground. The park has three restaurants. The Rim Village café is open all year around, but other café like Annie Creek Restaurant, Crater Lake Lodge are opened according to the seasons.